Jamie – Lee Thurston is a country singer/songwriter from Vermont who currently resides in Nashville. Having been on the scene for over a decade, Jamie has had quite the career rollercoaster . Signed to Warner Brothers in the 90’s and creating an album, Jamie experienced what many artists go through where the album was never released. However, a true artist will never let a bad experience knock them down and Jamie – Lee continued to live his dream independently as again, many artists do and successful so. With a strong and loyal fan base and the beauty of being able to share his craft through social media and digital platforms – Jamie – Lee has been working on his ninth record. 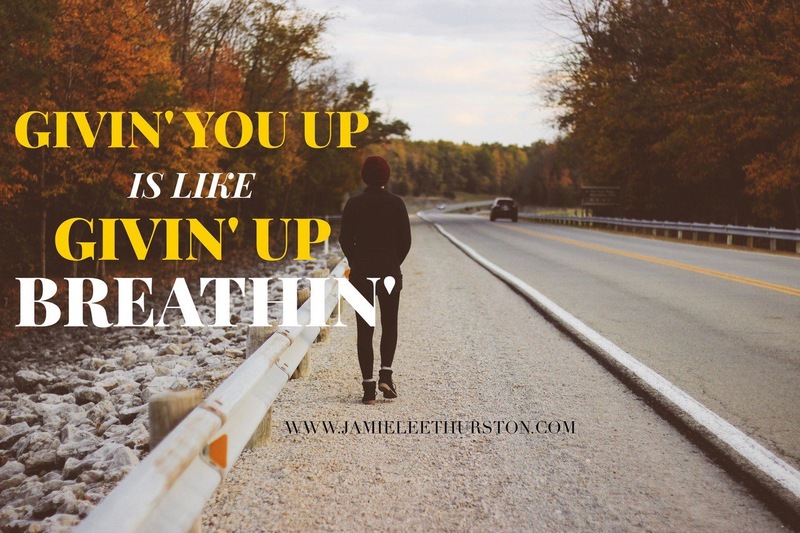 Jamie Lee released his current single Givin’ Up Breathin‘ September 29th and I highly recommend downloading it. 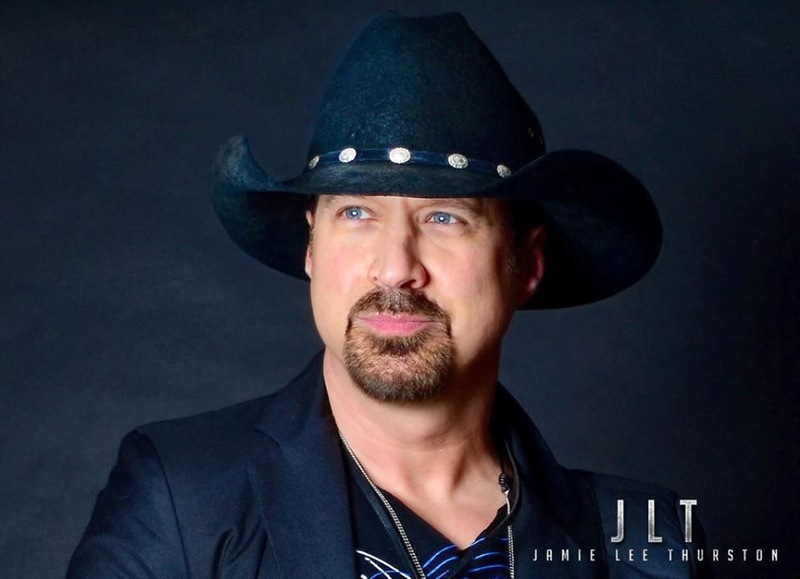 Jamie – Lee has a very traditional country sound in both his music and his vocals which we don’t hear that much in todays male artists. Although Jamie Lee has a strong traditional style, his music is still a sound that fits within todays modern market. Jamie – Lee is country, there is no denying that and it is great to have an artist who will cause no debate. 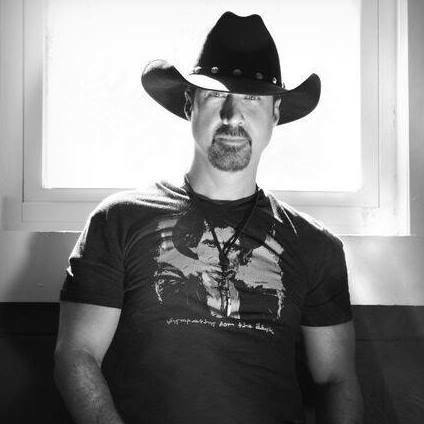 When you turn on country radio the type of artist that you want to hear is Jamie – Lee Thurston and I certainly hope that he gets the recognition he deserves. Jamie – Lee recently visited Ireland for a media tour. I caught up with Jamie – Lee to discuss his new music, his time in Ireland, the struggles of the industry and future UK plans. Jamie – Lee has been one of my favourite people to interview so far, he was kind, humble, genuine and absolutely hilarious. I hope you enjoy our conversation and that you take the time to check out a truly great artist. I am good, haha – we just spent a good bit of time in the Temple Bar district last night. Yeah, gosh that place is crazy. Oh, my gosh, haha – it is insane, haha. It was Sunday night and you couldn’t even move. Could you tell us a little bit about yourself and your music? My dad was a musician, so I started singing when I was three years old and I followed him around until I was fifteen. Then I went on the road as a roadie for him for a little bit. When I got out of High School at seventeen I jumped right into his band. I literally graduated and left the next day. I was in several bands: a rock band, a couple of top 40 bands and then in a pretty successful top forty band which I had started, travelling the East coast and Novia Scotia, Canada. I started seriously writing songs which were Country songs, and just one day I decided that I wasn’t going to get where I wanted to go with that, so I brought the band outside and I said I am going to quit. They carried on without me for a while. Then I started doing my first record around 1990 and now I am about to release my ninth album, so that is exciting. I was in L.A. and did a record with a guy named Charlie Midnight who wrote with James Brown – he had a song on The Bodyguard soundtrack – and he produced Joe Cocker, so that was pretty cool. Then I met a guy who had a friend in Nashville who flew up to see me and became my manager, so I started flying back and forth from Vermont to Nashville twice a month for two years, before I moved there years ago. Through that I ended up getting a record deal with Warner Brothers and did a record with a guy named Greg Brown, who did Travis Tritt’s first five records and Tanya Tucker and more. I did a full album there that never came out -they did what you call ‘shelved’ me. After that I went through several other record deals, but then I just decided to start my own company and that’s why I am getting to release my ninth record. It sounds like a very tough business to be in, more so than I realised. How are you finding being an independent artist – do you like it better? I know that, obviously with a label, there is more financial backing – but do you feel now that you get a lot more freedom? Yeah, you are right on the financial part. They spent over 300k on my record, and a lot of good that did for me because it never even went out. I hung around the label for a couple of years and then I wrote this song called Dear God. I was really depressed and wrote the song with this guy called Blair Daily and went into the main A & R office and played him my song and he went “Play that again”. I did, acoustically, and he goes “That’s your first single, go cut it”. Up until then we were looking for a first single and it cost us right around 20k to record. After about two weeks we went there again, but he dropped me from the label before he had even heard it. Oh, it is what it is. Even though you can have all their money available, that is only any good if they decide to back you with it. I am much happier now. As you said, you are on your ninth album, but tell us first about the single Givin’ Up Breathin’, as it is lyrically quite heartbreaking. Haha! The reason I laugh is because it’s a true story. I met this girl, fell heavily in love and it just didn’t end up working out. So I got to drinking too much and I was actually headed into the kitchen, I remember that, to get another beer. I was a mess and I was like ‘giving her up is like giving up breathing’ and then I was like, ‘Oh, wait, I’ve got to write that down’. So I wrote it down and a few weeks later I got together with a songwriter friend of mine, George Teren, and we wrote it in a day. Haha, that’s a true story. That’s the beauty of Country music though – it’s all about the truth. Yeah, I mean especially my stuff; it’s very real – or based on something that is real somewhere. Givin’ Up Breathin’ is on your album, The Window; tell us about that album and when the UK release is? I think it’s early next year. I’m excited because the record has all of the stuff I grew up on, as far as elements are concerned. 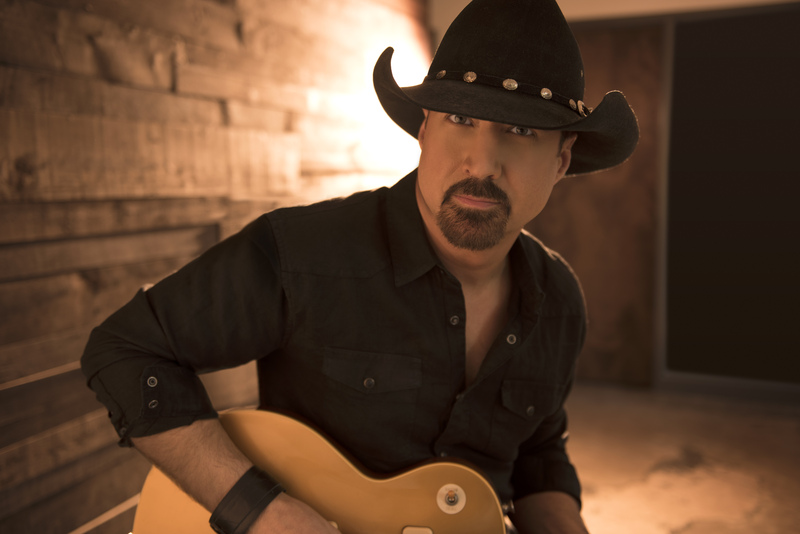 I am also a guitar player, but I am not per se a ‘Country picker’ like Brad Paisley would be – I am more of a Lynyrd Skynyrd, Billy Gibbons Blues Rock. I play plenty of Country stuff on my records, but I am more of a rock guy, or Southern rock guy I would say, when it comes to playing. Will the songs follow a similar style to Givin’ Up Breathin’? No, it’s pretty funny because some of the songs on the record were written when I met the girl and some were written after, so it will be pretty easy to see what relates to what, haha! There is some straight up Country stuff and there is some serious guitar-laden stuff on there as well. There is a song called The Killing Song on there that has some heavy guitar stuff in it. When I say heavy, I don’t mean Metallica heavy. Haha! I don’t go quite that far. I look forward to hearing the album, because I loved the single. Well, thank you very much for that. You have a song called Why Wouldn’t I which I believe is being selected for a film, right? Will that also be on the album? That’s not on the record. It was off a previous record and was just taped for the soundtrack for the movie Nine Eleven, starring Charlie Sheen and Whoopi Goldberg. How does that process work? How does a song get selected for a soundtrack? I knew the director and he had heard the song of mine, probably a couple of years ago. He said it was his favourite song and so he wanted it and then said it was his favourite on the soundtrack as well. He said he needed to put it on there and, yeah, so that came about. You have been on tour with some big names. Who has been or what has been your favourite memory? I guess one thing that definitely comes to mind is John Anderson – just standing on the side of the stage watching him do his thing – because he is an icon. So that was really cool. I have been blessed enough to open for a ton of people so, from Brad Paisley, to Jason Aldean. The Jason Aldean one was funny because I was doing the show and, of course he was doing the show, and the bass player that ended up playing in his band was from right across the lake at Lake Champlain in Vermont, which is where I am from, too. So we had seen each other at the show and were like ‘Hey man’ – so two guys from small towns and there we are on a big show, you know? It’s very cool. Tell us about your Halloween bash that you host every year. Oh my gosh, that’s my favourite, haha! There is a restored barn that is just gorgeous inside and we take it and put up all these Halloween decorations and bring in a huge production – like a big stage and huge lights, big backdrop – and we just throw a huge Halloween party. It’s called The Thurston Howl and it’s so much fun, haha! I don’t know if you remember a show called Gilligan’s Island? There was a guy called Thurston Howl the Third on that, so needless to say, the third year we were all excited about that and I dressed up as Thurston Howl the Third, haha! We don’t really celebrate Halloween that much over here, which is a shame – well not to the extent that the US does. Yeah, we are a bit reserved in a way and many dread trick or treaters. I would love to celebrate it like the US does. If my entire street really went all out on decorations it would be so exciting, but it is just another date to me really. It is so much fun, Hannah. In the States, the little kids – oh, my gosh – when they come up to the door all dressed up, it is so sweet. I haven’t had a trick or treater for about five years. Oh, my gosh, Hannah, you need to come to the States. Come to my Halloween party! Now that would be cool, I would definitely love to do that. As you have spent most of your trip in Ireland – have you tried much Irish food or drink? Let’s talk about that Irish drink for a minute. The people here drink with a purpose, haha! This was on my bucket list to do. I have been to France and to Germany and Poland and Lithuania, Switzerland, Belgium and Holland – so the UK and Ireland are what I wanted to do next. Just the scenery here and history is so, so rich. The States is only a few hundred years old, but here there is a place called Castle Town – just walking around there you get a different feel, it feels old. The history itself is a different feeling and it’s cool because the smells are different, the leaves are different, everything is just different. So, for me, it’s just ultra, ultra cool. That, and trying a bunch of Irish Whiskey – which I think I have tried enough of on this trip, haha. Now I just can’t wait to go to the UK next. Yes, you are coming back next year, right? Yep! I think we are aiming for late February or early March. Oh nice. Do you know where you will be yet? I don’t yet, but I think it will be a good couple of weeks doing a media tour over there. What is your knowledge on British Country? Do you know much at all? I don’t know a whole lot about it, actually, I have been learning about Irish Country music over here. Tell me about some? Well it is starting to emerge successfully and we have some well known artists such as The Shires and Ward Thomas, who you should definitely look up – and then we have great artists such as Twinnie, Laura Oakes – and now I have drawn a complete blank on anyone else, typical! That’s always the way, hahaha! Well, thank you so much for talking to me today. I have had such a great time – hopefully see you next year. Thank you Hannah – for sure, we must catch up.